El Portet Beach. Top range new build design villa. Dramatic seaviews and only a very short walk to the sandy el Portet beach in Moraira. 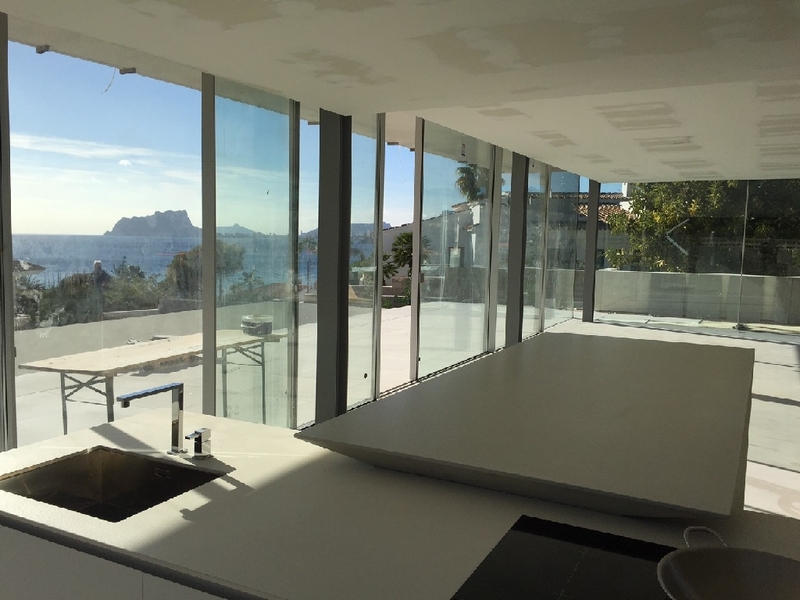 This exclusive villa is constructed by Design Villas Moraira, and designed by architect Dalia Alba. 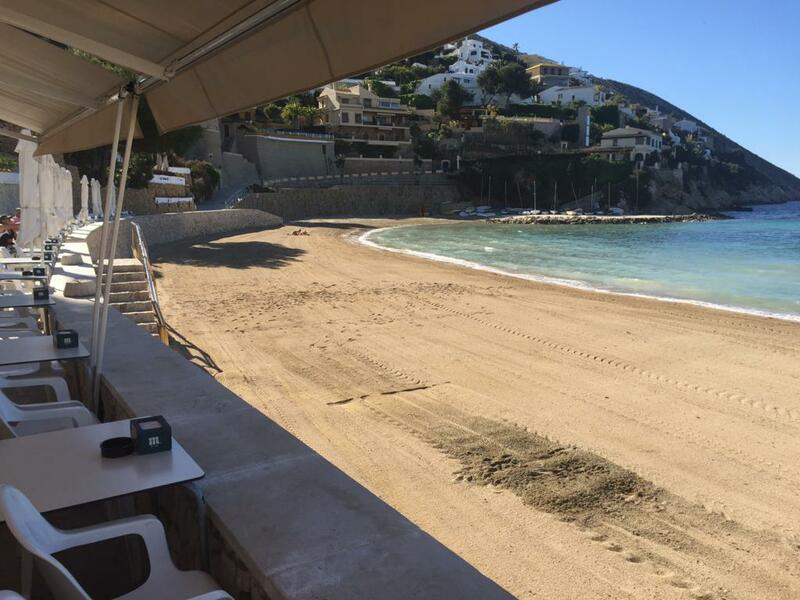 Only a 50 meters walk takes you to the sandy beach of el Portet, the most sought after area of Moraira. 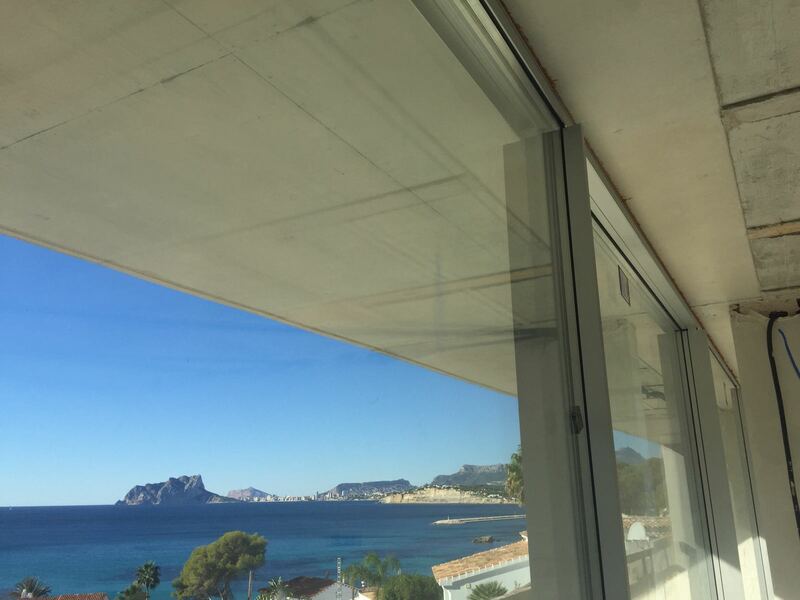 The villa is of course facing the Mediterranean Sea, with thanks to the design, optimizing the dramatic sea views all the way to the Peñón de Ifach, the famous rock and nature reserve Park of Calpe. This development is designed as a big open space, materialized with a glass box containing the day areas. The first level contains the night quarters and offers a contrast to the light and fragile appearance of the ground floor. The massive concrete volume opens only to the south, offering dramatic seaviews from all bedrooms. Another impressive feature of this villa is the courtyard or patio. Completely glassed with large panels, this stylish feature provides the large underbuild with plenty of natural light and gives the villa an unique character with a lovely green area. 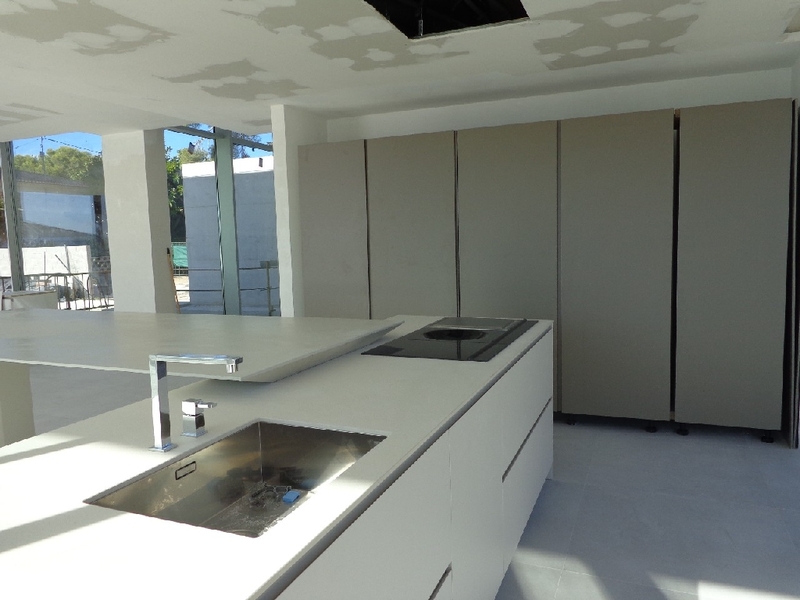 The villa is of course offered fully equipped with a design kitchen and bathroom fittings of the highest standards. Set on a level plot the villa is equipped with a spacious underbuild with double drive in garage and space for a gym or home cinema. 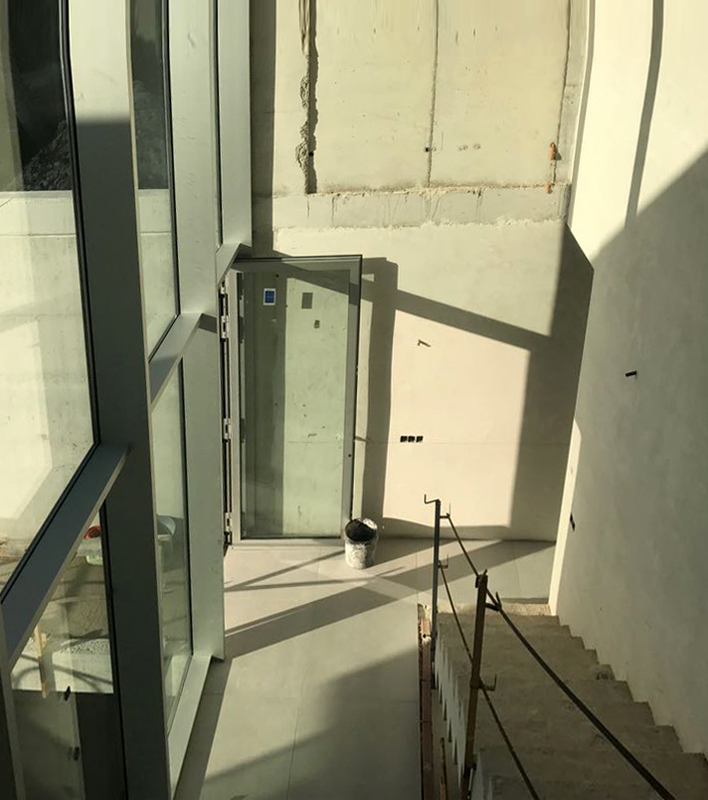 A beautiful concrete internal staircase with glass panel landings and oakwood steps takes you around the courtyard to the ground floor level. This bright and spacious area comprises of the living and lounge with a designer kitchen with cooking isle. The special frames of the large glass panels and sliding doors, offering access to the infinity pool with sea views, are of the famous brands Schueco and Lessframe. The first floor offers spacious bedrooms and bathrooms. Among the many extras of this villa you will find underfloor heating, domotics, supervision cameras and alarm. The main attraction of the villa is of course it´s unbeatable location, 50 meters from the sandy beach of el Portet. El Portet is considered to be the most prestigious area of Moraira, whereas Moraira itself is an upmarket fishing town. The high rise bulding, 4 levels only, you will find in the pretty village itself. 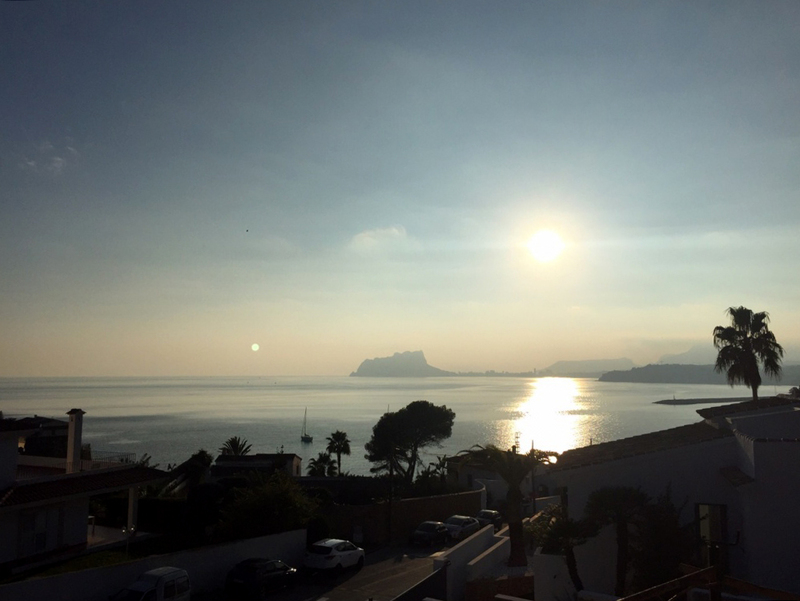 Surrounded by vineyards and mountains, Moraira is sheltered from heavy winds and heat waves. 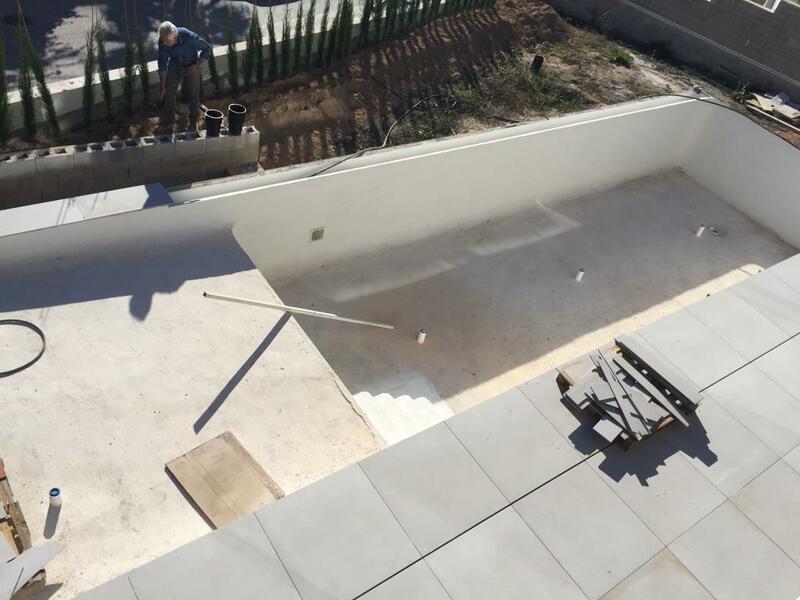 Moraira offers on average 300 sunny days, with hardly no rainfall in summer..
As a constructor, Design Villas Moraira offers you the best conditions and opportunities in the event you would like to construct a house tailor-made to your wishes. 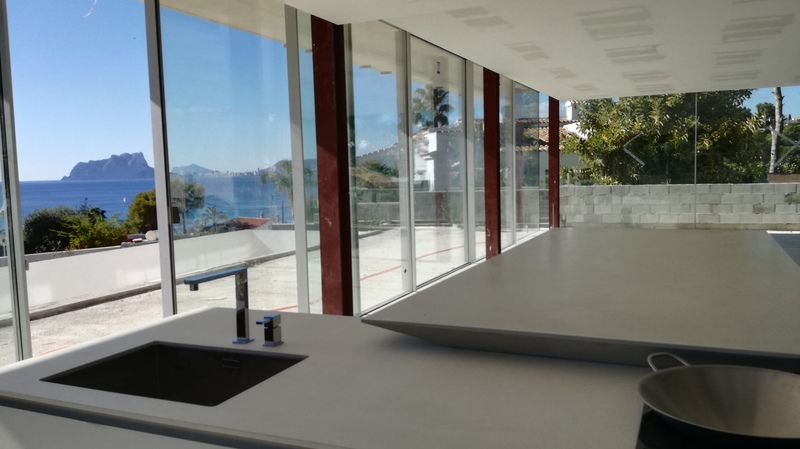 This property is located in: Moraira, Morajra (Comunidad Valenciana, Spain). I was checking your Villa for Sale on SearchEurope Property Listings. Please get back to me with more information, including exact map, price, additional pictures, etc.